Having read most of the biographies of Gould I was getting a bit frustrated with the ongoing lack of insight into the humanness of this much misunderstood wonder of the classical music world. Finally someone has had the testicles to address the issue of the emotional life of Glenn with such insight and investigations that all previous Biographies will now have to be rewritten! Why has it taken so long for this book to be written? A big thanks for Clarkson from all Gould fanatics! Glenn Gould is one of my idols and it was fascinating learning about a different side of him. 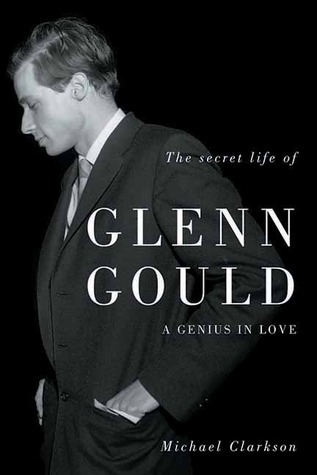 The funny thing is that Glenn Gould would certainly disapprove of this book sharing such intimate details of his life.It was pointed out numerous times throughout the book in several interviews, that there was a fundamental conflict between Gould's devotion to music/arts and being in a committed relationship. As anyone familiar with Gould knows, his genius extends beyond the piano and he was an artistic visionary in a number of areas including foreseeing how modern music would be consumed. It is difficult to imagine such an artist open up with others and that was why I was surprised by how many women Glenn frequently called late at night to speak with for hours. I get the strong feeling that Gould felt conflicted between his "puritan" artistic goals and biological/social needs. In a way I think many people feel this since it seems very difficult to see the world from the same perspective and have the same motivations as another.The book is well researched and it is interesting learning how many people that were close with Glenn are still alive today. For instance his friendship with Anton Kuerti, whom I had the privilege of attending a masterclass and also spoke at my ARCT graduation. The twenty-four chapters span Glenn Gould's entire life to his death and what seems like all his significant friendships. However I feel the book could have focused on the actual music and performance more. For instance why he did he choose such unorthodox tempos? And did he feel strong disappointment at his lackluster compositions? The influence of his life events on his music performance was only briefly touched on in a chapter containing his mother's death. Of course, such music-life analysis likely depends on the strength of the author's musical background.Lastly I felt a strong connection with this book and Glenn Gould in general since I have been living in Toronto for a few years now. Every time I go to Fran's (a 1 min walk from my apartment) I think of Glenn coming in for his scrambled eggs at 2 AM. And of course his name is everywhere from Glenn Gould studio to the immediate connections with the Royal Conservatory. The book touches on several other places which Gould frequented often. I will likely explore these areas too! Two stars for effort since Michael Clarkson has undoubtedly put a tremendous amount of work into this book. On the other hand the reader cannot but ponder the necessity of this plunge into the lovelife of the extraordinary and very private musician. I have to concur with Cornelia Foss who is quoted saying "He was so private, he'd roll over in his grave, worrying that someone might find writings with his emotions on them. "So Mr. Gould has been sexually active, and he most likely was not gay or bisexual. There might be room for certain aspects of Gould's private life in a general biography, but I fail to see how this biography --on itself-- adds to our understanding of the remarkable pianist. Reveals a lot which we would not have expected from this elusive genius.